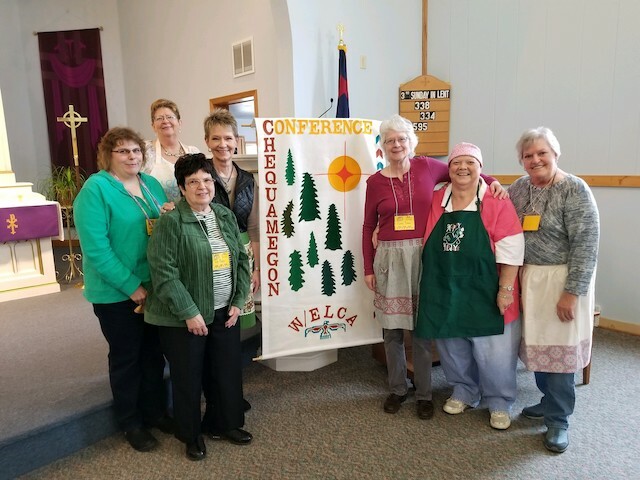 Trinity Lutheran Church WELCA in Spooner celebrated National Quilting Day at their 3G(enerational) event on a snowy March 10 Sunday morning. 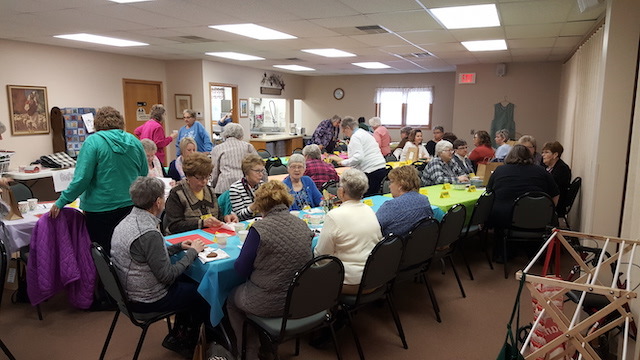 Due to the weather the attendance was small, but the participants completed tying one quilt that will be sent to LWR in the future. 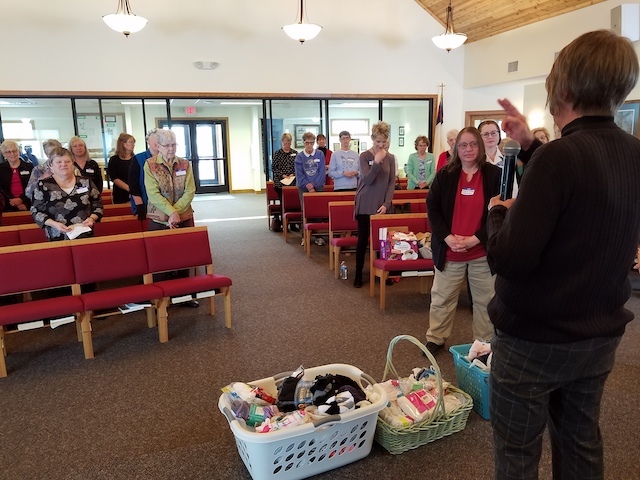 Busy Moms and Career Women Retreat! 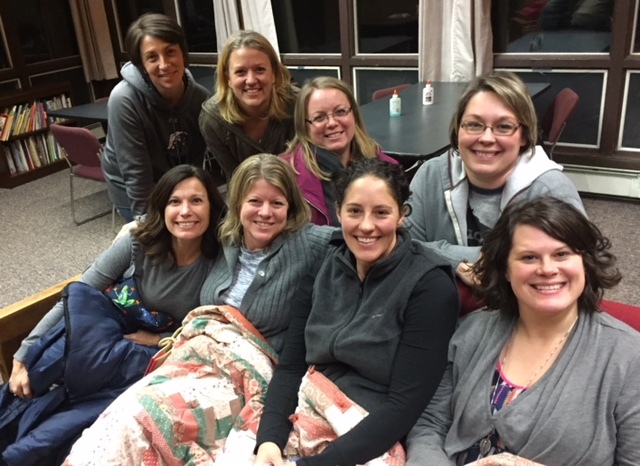 Trinity Lutheran WELCA, Spooner, sponsored an overnight retreat at Luther Park Bible Camp in Chetek for younger women who are busy mothers and career women. 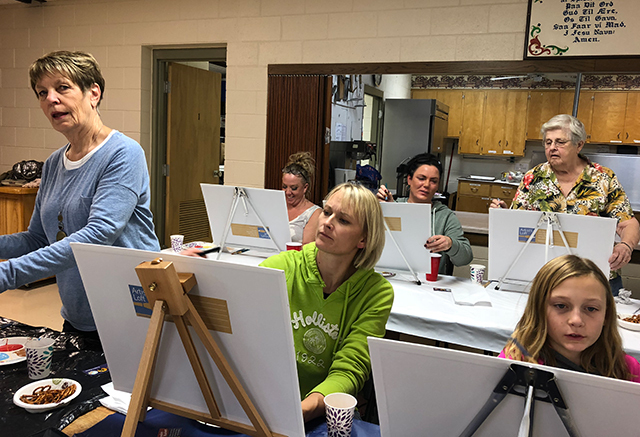 They wanted a time to fellowship together and have a faith-building experience in a retreat setting. 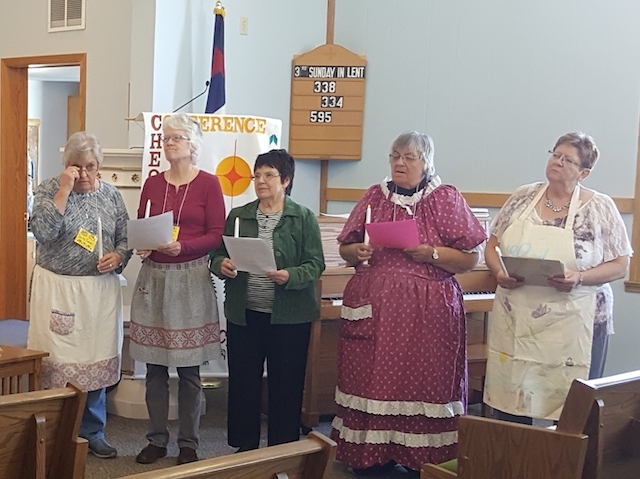 The first retreat was held on November 9-10 after their work day. 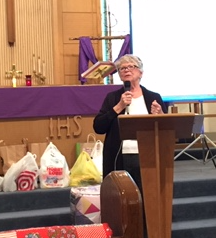 Their pizza supper was followed by a Bible study on the Biblical character Ruth led by Amy Brekke. If you waited to hear her tell about it, you would never know what happened! 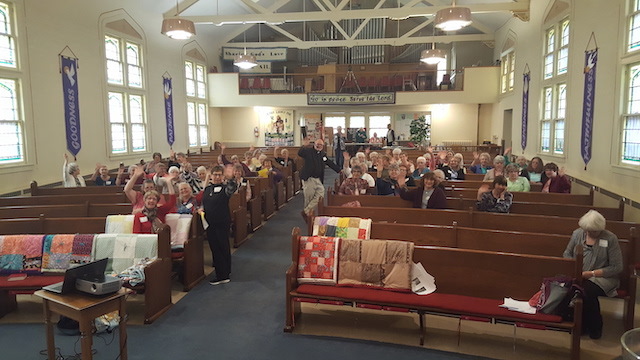 This humble lady from North Valley Lutheran Church in rural Wisconsin had to be convinced that she could make and submit a quilt for the Triennial quilt challenge even though she wouldn't be attending the Gathering. The challenge came in several ways. The quilt had to be black and white with only one other color, it needed to interpret the theme, "All Anew," the finished size had to be 40" x 40", and it would be judged by members of the Minnesota Quilting Guild. 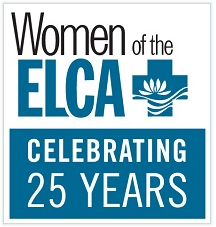 It needed to be completed in time for mailing to the national Women of the ELCA office in Chicago before May 15th. After some contemplation and tweaking, that all happened. Displayed with about 50 other quilts in the exhibit hall at the Triennial Gathering in Minneapolis, Gwen Morrissette's entry was one of two quilts that gathered the most votes from the ladies at the convention. 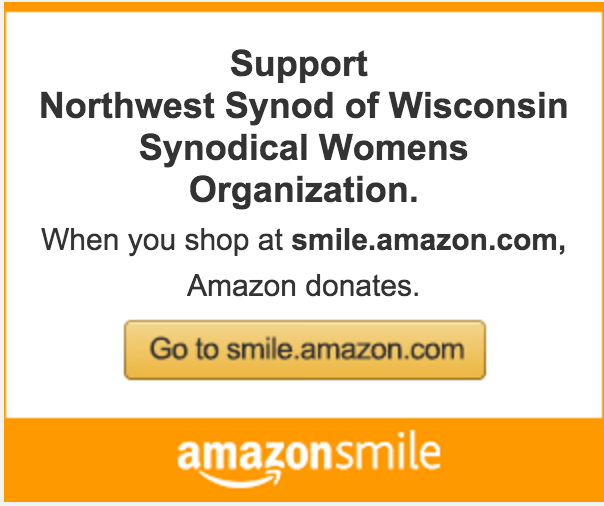 Those of us from the NW Synod of Wisconsin are proud of the wonderful work she did in representing us so well.